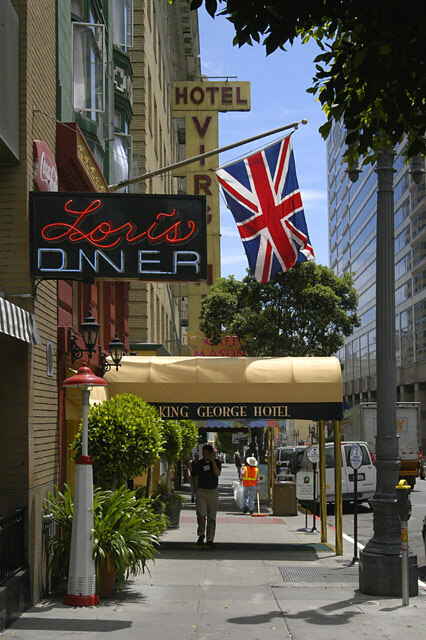 Lori and King George: Interesting to encounter a British flag in the middle of SF. Nikon D100, Tamron 28-75 1:2.8 XR Di, 35mm f11 1/400sec. ISO400, Building aspect corrected in post.